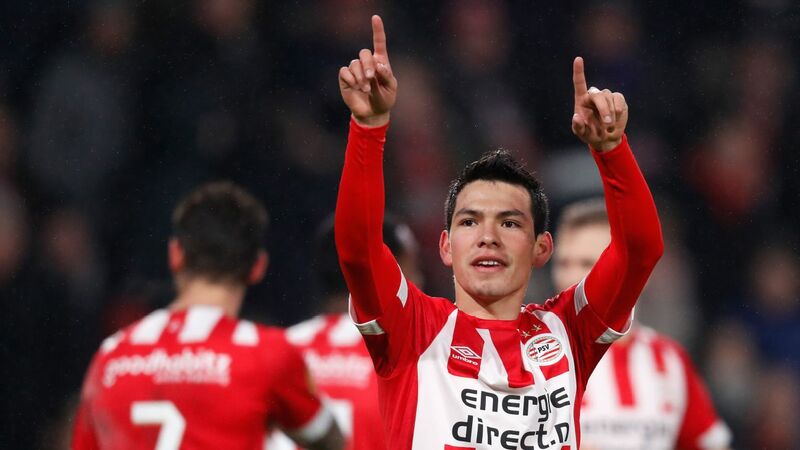 Lozano has star status, but does he also have a ceiling? Gastón Pereiro and captain Luuk de Jong both scored braces in PSV's 6-goal demolition of visitors FC Emmen VV. Anyone lucky enough to have been at Philips Stadium when PSV Eindhoven hosted Groningen in April 2013 is extremely unlikely to have forgotten the experience. Very rarely, if ever, was a footballer treated in such a stunning and touching way. Rumours that Mark van Bommel was considering retirement prompted PSV fans to show their love in order to convince their idol to continue playing. They sung his name for the entire 90 minutes -- loud, louder and then louder still. At first, it seemed that it would be impossible to keep singing for the entire game, but they kept on. When the midfielder was substituted after 86 minutes, he looked amazed and close to tears. The supporters were unable to change Van Bommel's mind. He chose to hang up his boots two weeks later, ironically sent off for two bookable offences in his very last game at Twente. For many, who saw him as a brutal bully throughout his controversial career, it was a fitting end, but for the PSV faithful, Van Bommel was a saint. He's one of the most adored players in the history of the club, and it was crystal clear that he would come back sooner rather than later; there was no other option. In the summer, Van Bommel replaced Phillip Cocu as PSV coach, and the city went absolutely crazy. "The atmosphere at the stadium is somewhat surreal at times," De Telegraaf journalist Erik van Haren told ESPN FC. "The name of the coach is chanted in the stands much more frequently than those of the players. Van Bommel is the star of this team." Van Bommel is more popular than his predecessor, which is a remarkable feat. After all, Cocu was born in Eindhoven, had two hugely successful spells at the club as a top player and then proceeded to win three championship titles in five seasons as a coach, leaving for Fenerbahce as a winner. He is a huge hero in his own right, but Van Bommel is bigger still. Van Bommel didn't grow up in Eindhoven but joined the club in 1999, aged 22, from his beloved Fortuna Sittard. However, born in Limburg, he has a southern accent and southern mentality that is cherished at PSV. Nicknamed Boeren -- the Farmers -- they see themselves as the opposite of Ajax. The Amsterdamers are considered too arrogant for their liking, and Van Bommel's disdain for PSV's rivals contributed to his reputation. "Van Bommel resents Ajax for the same reasons the PSV fans do," ELF Voetbal journalist Geert Beckers told ESPN FC. "He even had a chance to move to Amsterdam in his young days, but refused because he didn't feel he would fit in. "At PSV, he was loyal and stayed for six years, despite having numerous opportunities to leave earlier." The biggest conflicts in his career were with stars closely associated with Ajax. Van Bommel couldn't stand Marco van Basten and refused to play for the national team while the former striker was the coach. His time with Louis van Gaal at Bayern Munich was also problematic in the extreme; ultimately, he left the team for AC Milan as a result. In fact, when Van Gaal was approached by PSV in 2012, the midfielder issued an ultimatum. "I won't return if he arrives," Van Bommel said at the time. "He doesn't fit anyway." And he won that battle, moving back from Italy that summer and immediately getting the captain's armband he so proudly wore during his first spell at PSV. "Mark has always been the leader, the driving force in midfield -- never giving up," Voetbal International journalist Marco Timmer told ESPN FC. "His mentality is his biggest strength, always playing on the edge or over it when needed." Van Bommel brings those qualities to his coaching career as well, but he is definitely more than just a motivator. "He was sort of a trainer on the pitch in his playing days thanks to his tactical vision," Timmer said, and having one of the best Dutch coaches as his father-in-law most definitely helped. The midfielder met Andra, the daughter of Bert van Marwijk, when playing under his guidance at Sittard. When the coach took over at the national team in 2008, it was only natural that Van Bommel became crucial to his plans, even though some criticized the decision to make him captain at Euro 2012. It was little surprise that Van Bommel assisted Van Marwijk when the Dutchman worked with Saudi Arabia and Australia national teams but now the roles had been reversed. At PSV, Van Marwijk is -- albeit unofficially -- Van Bommel's advisor. "Bert has always promised to do that when Mark starts his first senior job, and he kept his word," De Telegraaf journalist Jeroen Kapteijns told ESPN FC. Amusingly, this is Van Bommel's second job at PSV. Last season, he won the title with the youth team and made a genuine impact. "Mark really is my second father. He is not just a trainer, but a friend too," 19-year-old midfielder Michal Sadilek said. Now, he has made the big step forward. Filling Cocu's shoes wasn't straightforward given the predecessor's success, but while enjoying phenomenal support from the stands, Van Bommel made it look easy. PSV currently lead the Eredivisie table with nine wins in nine matches, while playing attractive football, too. "They are more attack-minded than under Cocu, and fans love it," Van Haren said. Thrashing Ajax 3-0 in the most important fixture so far was monumental for Van Bommel's tenure. Incredibly, no team conceded more goals from Van Bommel than Ajax when he was on the pitch -- he even scored a hat trick from defensive midfield in a famous 4-0 win in Amsterdam in 2005. 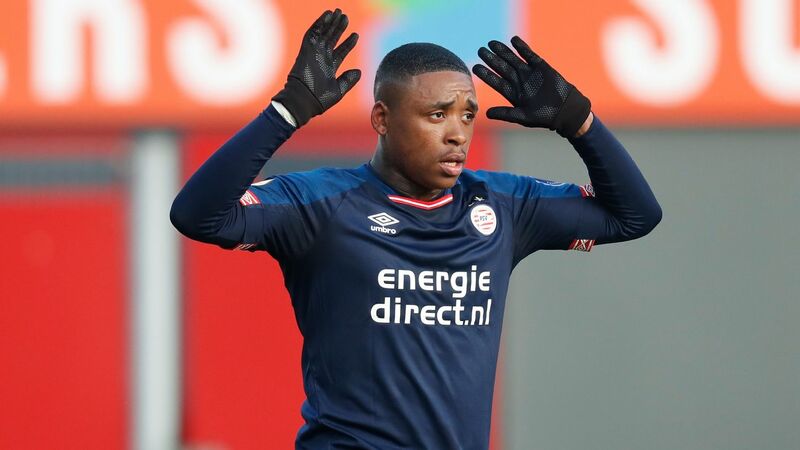 Now, he continues to make life very difficult for PSV's bitter rivals from the bench as well, totally outplaying the visitors tactically. So far around the country, his work has been widely praised. De Volkskrant columnist Willem Vissers has already written that "Van Bommel is the best Dutch coach since Van Gaal." Now it's time for Van Bommel to make his mark in the Champions League as well. He won the trophy with Barcelona in 2006, reached the final with Bayern in 2010, and captained PSV into the semifinals in 2005. He knows the tournament inside out, but the first two games as a coach ended in a 4-0 defeat at Camp Nou and a rather unlucky 2-1 loss at home to Internazionale. Next up are Tottenham on Wednesday in what is bound to be a crucial game in the fight for third place in Group A. Mauricio Pochettino might be respected and adored in London, but he would never get an ovation like Van Bommel at Philips Stadium. Nobody will. That relationship between the coach and the fans is truly special, something that makes PSV stronger and tougher.